The Arion is one of our best sellers in the summer series range. It's all about volume and perfomance combined to make you happy in smaller weaker waves, but also in good days as well. We basically refined our Tablet and pushed it to a more progressive level, making this a more performance and versatile board. Now you can go faster and make stronger and tighter turns in small to medium waves. We still have the same lower rocker and a wider outline, but we now have low/mid rails and a round, squash or swallow winged tail to provide better rail to rail transitions. 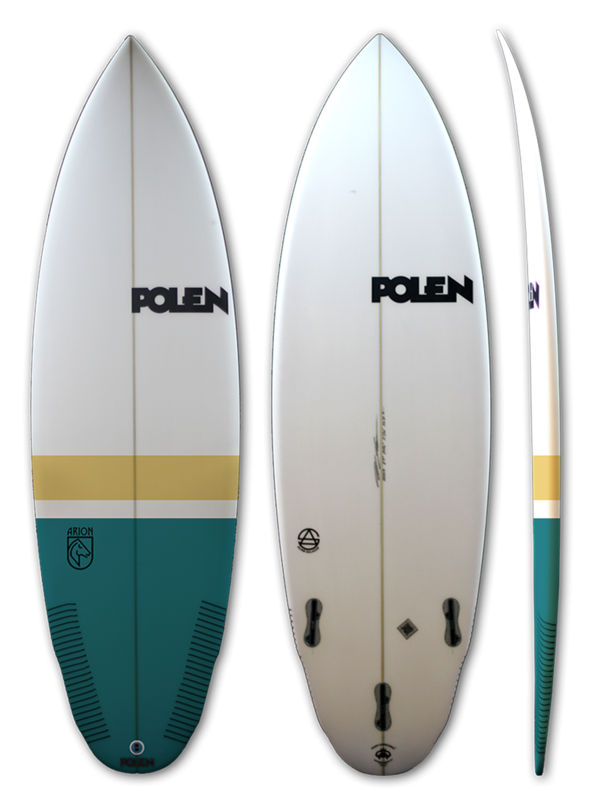 The bottom has a single to slight double concave to vee off the tail, generating more speed and drive all the way. You should ride it 2"-4" shorter than your everyday shortboard and we recommend a tri-quad set up.